Are you looking for a night out with friends? Is your inner DIY itching for a fun new project without having to buy all your own supplies and make a mess at your house? Then BOOK A CLASS at Board & Brush Creative Studio in Sunset Hills. The city of Sunset Hills is inside of St. Louis county which has a ton of things to do! St. Louis has a fairly large art community and has some great local attractions like the City Museum, Forest Park, and Laumeier Sculpture Park. Board & Brush Sunset Hills is a licensed establishment, beer and wine are available for purchase in the studio. Please note, BYOB is not permitted. Calendar- sign up for a class! Click on a workshop below to register! Click here to see current events! 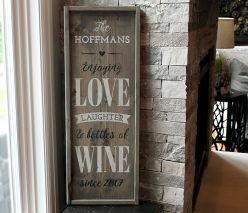 At Board & Brush in Sunset Hills, we marry the joy of wine and paint with the classic timelessness of wooden signs. Our instructor led DIY wood sign workshops allow you to combine your creativity and willingness to learn new skills. We provide you with the instruction, materials and design for you to distress, sand, stain, paint, and customize your personalized piece of art! 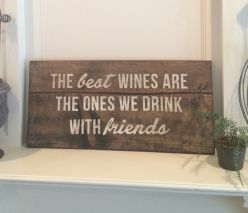 Check out our Calendar to view upcoming wine, paint and wood sign workshops! 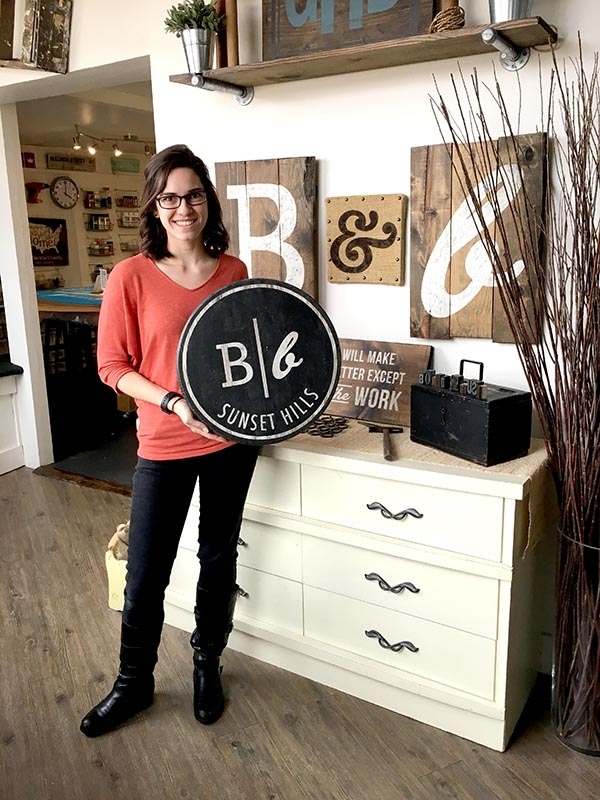 Whether you're looking for a fun way to celebrate your birthday, a distinctive evening out with a group of friends, or a unique relationship-building outing for your employees, look to our DIY wood sign workshops in Sunset Hills. Our space is uniquely set up to provide a warm, welcoming environment that allows everyone to feel comfortable and excited to create their own custom piece of decor. Book Your Private Event Today! Michele has spent most of her career as a pharmaceutical sales rep in the veterinary industry. She decided to open a Board & Brush because wood crafting and painting fills her soul. Board & Brush allows her to do something she LOVES, and she is energized by teaching others the same skills. Her husband, Tommy, is a crop consultant and they have two boys; Drake is 5 and Maverick is 2. Alyssa Jaegers is the studio manager for the Sunset Hills location! She has a degree in Computer and Multimedia Graphics as well as Commercial Photography. She worked at the Cracker Barrel for 8 years and multiple photography companies over the last 5 years. She was looking for a career that was flexible, something that she loves doing and can share with her friends and family. She has always had a passion for the crafting world and Board & Brush allows her to utilize that passion as well as her skills as a graphic design major to help teach other people to explore their creative side. Her smart and wonderful daughter Hayley, is the most important thing in her life! 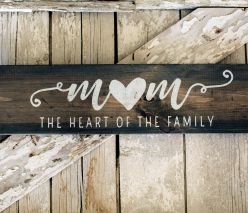 Pick your preferred custom wood sign design, sign up for a DIY wood sign workshop that best works for you and your friends or family, and then show up for a fun, instructor led, hands-on experience. Board & Brush Sunset Hills is located on South Lindbergh Blvd. just south of Watson Rd. across from Mellow Mushroom. Have any questions? Please feel free to contact us via phone or email. 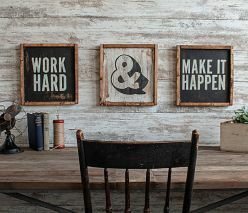 We are happy to help and would love to see you in our wood sign workshop very soon! Have a question for us here at the Studio? Drop us a line and we'll get back to you as soon as we can! Make any sign in our gallery!